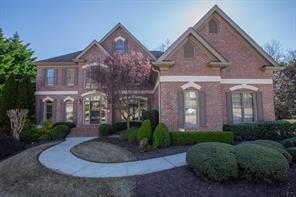 Crooked Creek Luxury Homes for Sale in Fulton County GA. Find listings of homes for sale in Crooked Creek Golf Country Club in Milton GA / Alpharetta. Crooked Creek Luxury Homes for Sale in Futon County Georgia. Crooked Creek is a sought after Atlanta luxury homes golf community that is just north of the city of Atlanta in North Fulton County located near Alpharetta and the new city of Milton GA. Crooked Creek is known for its stunning yet affordable newer luxury brick homes with three car garages and gourmet kitchens and proximity nearby shopping and commuting via Highway 9 and the GA 400. You may even find the home of your dreams in Crooked Creek on a cul-de-sac and have a new gourmet kitchen with stainless appliances. You’ll enjoy living in Crooked Creek! It is a vibrant younger community with newer homes, swim tennis, sidewalks, and yes award winning golf course! Crooked Creek lighted streets, award winning schools, jogging paths, playgrounds, tennis courts, a golf course, swimming pool and so much more. 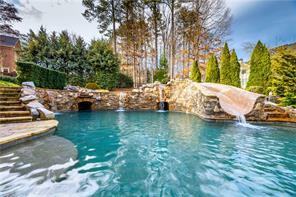 Search MLS listings for Crooked Creek luxury homes and private estates listed for sale in North Fulton County GA 30004. View photos and virtual tours of Crooked Creek homes, property information and more! If you are buying or selling a home or real estate in Crooked Creek, please feel free to contact us! It will be our pleasure to assist you! 1) 14381 Club Cir, Alpharetta, GA 30004, Fulton Co.
2) 14381 Club Circle, Alpharetta, GA 30004, Fulton Co.
3) 14505 Eighteenth Fairway, Milton, GA 30004, Fulton Co.
4) 14372 Club Circle, Milton, GA 30004, Fulton Co.
5) 425 Majestic Cove, Alpharetta, GA 30004, Fulton Co.
6) 425 Majestic Cv, Alpharetta, GA 30004, Fulton Co.
7) 14415 Morning Mountain Way, Milton, GA 30004, Fulton Co.
8) 765 Autumn Close, Alpharetta, GA 30004, Fulton Co.
9) 345 Majestic Cove, Milton, GA 30004, Fulton Co.
10) 345 Majestic Cv, Milton, GA 30004, Fulton Co.